Hot off the press. 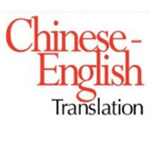 Our firm’s unofficial translation of the “Administrative Measures for Treatment of Foreigners Residing Permanently in China,” jointly issued by the Chinese Communist Party Central Committee Organization Department, the Ministry of Human Resources and Social Security, the Ministry of Public Security, and other departments. Since the promulgation of “Administrative Measures for the Examination and Approval of Foreigners’ Permanent Residence in China,” a group of talented foreigners have obtained Permanent Residence Permits. This plays an important role in attracting overseas talent and investors to participate in the nation’s construction. The National Medium and Long-term Plan on Talent Development (2010-2020) clearly proposes further opening up our talent policy, and vigorously attracting overseas high level talents to come back (or come) to China to undertake innovation and entrepreneurship. These “Administrative Measures for Treatment of Foreigners Permanently Residing in China” have been published with the approval of the Central Talent Work Coordination Team. Please carefully implement them. The treatment of foreigners who permanently reside in China involves many aspects of work and life. These measures are important to attract overseas talent to come to work in China. The importance of this work should be realized by all levels of organizations, Human Resources and Social Security, Public Security, Foreign Affairs, Development and Reform, Education, Science and Technology, Finance, Housing and Urban-Rural Development, Commerce, Family Planning, The People’s Bank, State-owned Assets Supervision and Administration Commission, Customs, Tax, Industry and Commerce, Tourism, Overseas Chinese Affairs, China Banking Regulatory Commission, China Securities Regulatory Commission, China Insurance Regulatory Commission, The Foreign Expert Bureau, Civil Aviation Authority, Foreign Exchange Department, etc. Coordination and cooperation should be strengthened. Pay special attention to the launch of detailed implementing rules and regulations and methods. Vigorously carry out the rules to protect the rights and treatment of foreign talent who permanently reside in China. Continue to improve policies for providing service, be more conscientious about providing service, and improve the level of service in order to create a good environment for attracting foreign talent to come to China for innovation and entrepreneurship. 1. In principle, they shall enjoy same rights and bear the same obligations as Chinese citizens, except for political rights or as otherwise specified by law or regulation. 2. There is no limit to the period of residence in China. They may exit and enter the country with a valid Foreigner’s Permanent Residence Card and passport. There is no need to apply for a visa or undergo similar procedures. Their spouse and immediate relatives may apply for visas, residence documents, or Foreigner’s Permanent Residence Cards per the corresponding regulations. 3. When entering or exiting the country, they should claim their personal belongings according to the Customs’ regulations and procedures applicable to travelers settled in China. 4. They are exempt from the requirement to apply for a Foreigner Employment Permit. If they meet the qualifications, they will have priority in applying for a Foreign Expert Certificate, Returning Experts Certificate, and local talent work and residence permits. 5. They may establishing a foreign-invested enterprise through technology appraised as capital stock or other investments, and legally earned RMB can be used as a direct foreign investment within China’s territory. 6. The Development and Reform Commission, Ministry of Commerce, Administration for Industry and Commerce, and Foreign Exchange Department should simplify the verification and approval procedures to make it more efficient for foreign permanent residents to invest in China and set up foreign-invested enterprises. 7. They may be evaluated for technical professional positions and take technical professional qualification exams according to regulations. 8. Their accompanying children qualify to enroll in school or transfer schools for compulsory education according to local education and administrative department regulations, without paying fees apart from those set by national regulations. 9. The Foreigner’s Permanent Residence Card can be used as a valid identity certificate for each type of social insurance procedure. Those employed in China should pay social insurance according to Social Insurance Law of the People’s Republic of China. Those who reside in China but are not employed may—if they meet the requirements of the urban area’s regulations—receive city dwellers’ basic medical insurance and retirement insurance. Organizations in charge of transferring, continuing, or terminating social insurance should simplify the procedures according to related regulations. 10. They may pay and use housing accumulation funds according to the Regulations on the Administration of Housing Accumulation Funds and related rules in the location where employed. The funds can be withdrawn or transferred when they leave the region. 11. They are exempt from the limitations of the “Opinion on the Admittance and Management of the Foreign Capital to the Real Estate Market” requiring foreigners to work or study in China for more than 1 year before purchasing private commercial housing. They can purchase commercial housing for their own residence and use in accordance with relevant regulations. 12. As regards to paying income tax, they should pay tax according to relevant China tax laws and regulations and tax treaties. 13. When conducting domestic financial matters such as banking, insurance, securities and futures contracts, the Foreigner’s Permanent Residence Card can be used as an identity document. They enjoy the same rights, obligations, and statistics attribution as Chinese citizens. 14. Their income earned in China can be exchanged for foreign currency and remitted abroad after paying tax in accordance with the law and getting from the tax bureau the foreigner tax payment certificate. The Foreigner’s Permanent Residence Card can be used as the identity document to conduct foreign exchange in compliance with the related foreign exchange management regulations. 15. They enjoy the same rights and prices as Chinese citizens in shopping, buying entry tickets to parks, culture and sports centers, and participating in entertainment or business travel in China. 16. The Foreigner’s Permanent Residence Card can be used to board Chinese domestic flights, buy domestic train tickets, and check in at domestic hotels. 17. They shall enjoy the same treatment as Chinese Citizens when applying for a driver’s license or registering a motor vehicle. When applying for a Driver’s License of the People’s Republic of China, whether as a first-time driver or on the basis of a foreign driver’s license, they may present their Foreigner’s Permanent Residence Card. They should also present a residence registration form issued by police department and a health certificate. They may be issued the Driver’s License after passing the examination. 18. The public security department should expeditiously process their applications for naturalization or recovering Chinese nationality per relevant regulations. 19. The Ministry of Human Resources and Social Security and the Ministry of Public Security, together with relevant departments, are in charge of interpreting these rules. 20. The Measures will go into effect on the day of promulgation. Most of these points addressed in the latest regulations refer to things that I have been doing for nearly a decade already.